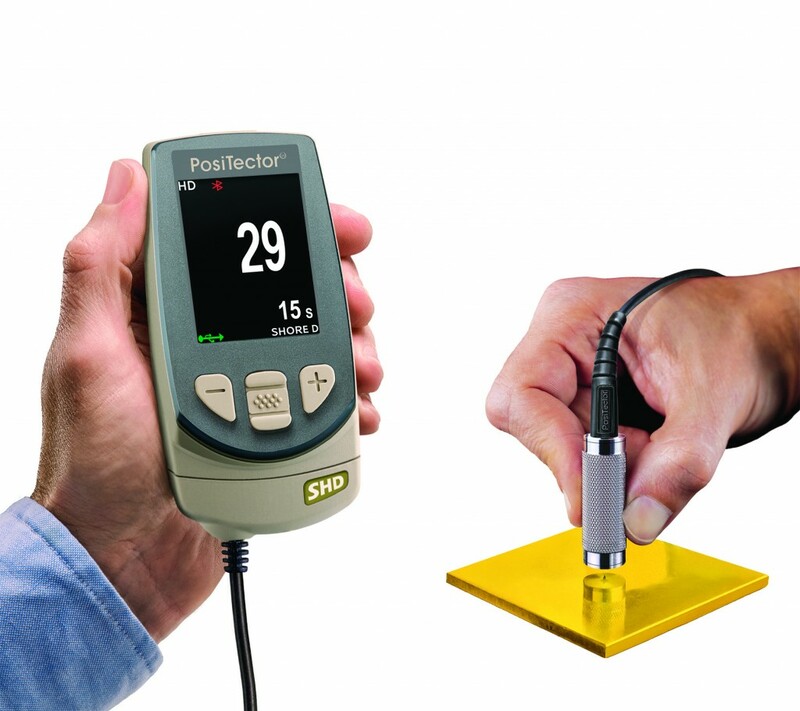 The PosiTector SHD Shore Hardness Durometer measures the indentation hardness of non-metallic materials such as polymers, elastomers and rubber. It can be used as a handheld instrument or placed in an optional test stand to reduce operator influence. Two models are available for different hardness ranges: Shore A and Shore D.
PosiTector body accepts all PosiTector SHD, 6000, 200, SPG, RTR, DPM and UTG probes easily converting from a shore hardness durometer to a coating thickness gauge, surface profile gauge, dew point meter or wall thickness gauge. PosiSoft Desktop – desktop software (PC/Mac) for downloading, viewing, printing and storing measurement data. Available as a free download. PosiTector App – (Advanced models only) – Mobile app connects PosiTector Advanced instruments to your iOS or Android smart device. To order this product or for more information, please contact us on 08 8267 4744 or through our online contact form.